Restorative dentistry is the study, diagnosis and integrated effective management of diseases of teeth and their supporting structures. 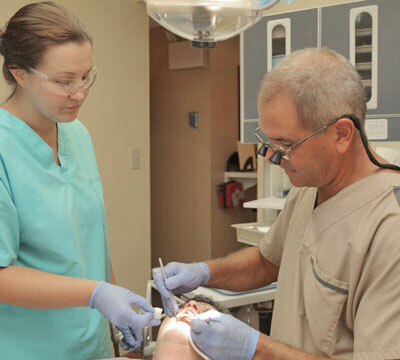 Restorative dentistry encompasses the dental specialties of endodontics, periodontics, and prosthodontics. 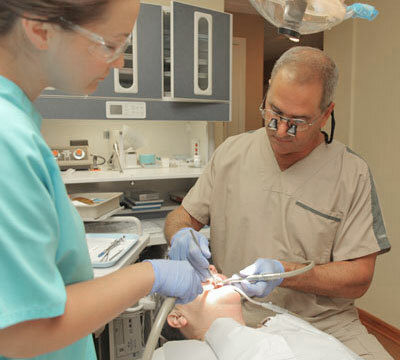 Dental composites, also called white fillings, are a group of restorative materials used in dentistry. Direct dental composites can be used for filling gaps (diastemas) between teeth using a shell-like veneer, minor reshaping of teeth or partial crowns on single teeth. The main advantage of a direct dental composite over traditional materials is improved aesthetics. Bridges / Crowns – Restorative bridges or implants are used to replace missing teeth. A crown is used to cap or completely cover a tooth. Bridges are a permanent alternative to replace missing teeth. Implants – Implants are titanium screws that can be used as an anchor for single or multiple missing teeth. The versatile prosthesis can be permanent or removable depending on your needs. Dentures - Dentures or partial dentures are removable methods of replacing a few missing teeth or all. Grinding of Teeth / Clenching of Jaw – Bruxism is the medical term for the grinding of teeth or the clenching of jaws, especially during deep sleep or while under stress. We recommend a night guard to help reduce bruxing.